There can be times when the perfect environment to open and read the database is not available. For example: The SQL database for an organization is seized for investigation but the similar environment for attaching the DB to Server is missing. In such cases, the basic requirement to open the database and check out if it contains information that can be forensically examined for carving evidences. For such requirements, there is MDF Viewer program that can be downloaded free of cost on Windows Operating System. The software gives option to read the MDF file within the software interface only. No need to have SQL Server environment on machine to run the tool. Even if the MDF file is corrupt or the database is in suspect state, the software will scan the file and allows previewing its database. All components of the SQL database can be checked through the tool. Tables, views, functions, triggers, stored procedures etc. can be viewed. There is no limitation on the file that is scanned and viewed in the tool. The interface of the tool is straightforward and gives easy previewing facility for the database. The Defination of the word Databasehas changed over decades. Now a days, database comprises of data and information in TBs and thus for saving the huge sized, mission critical DB from any loss, database management systems were introduced. Although, a number of techniques and structures for managing the database were introduced but the one that overpowered all of them is the Relational Database Management System (RDBMS). SQL Server is one of the powerful RDBMS used. 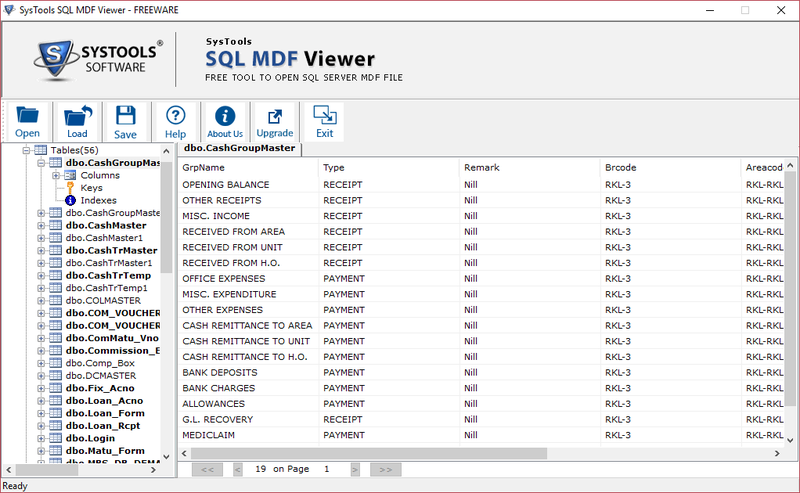 It stores all the database into MDF/NDF files along with transaction logs in LDF file. These files stores both the system and user databases that is the lifeline of SQL Server. 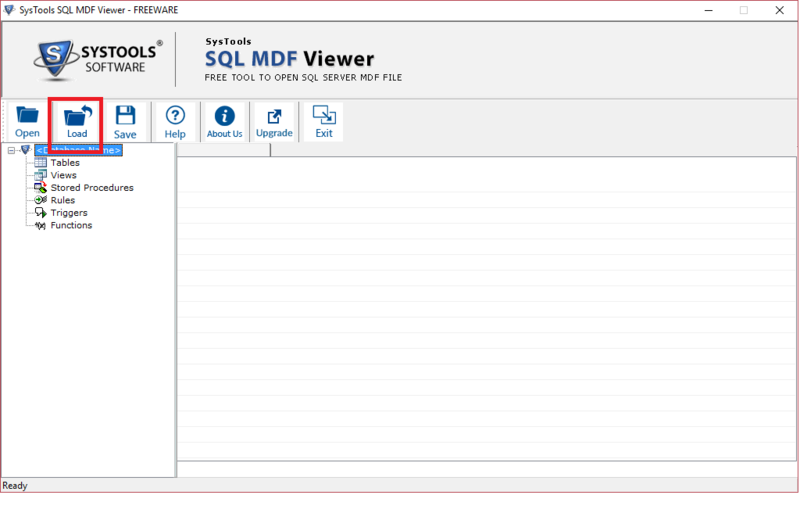 Can I view the MDF file without need of SQL server Environment? 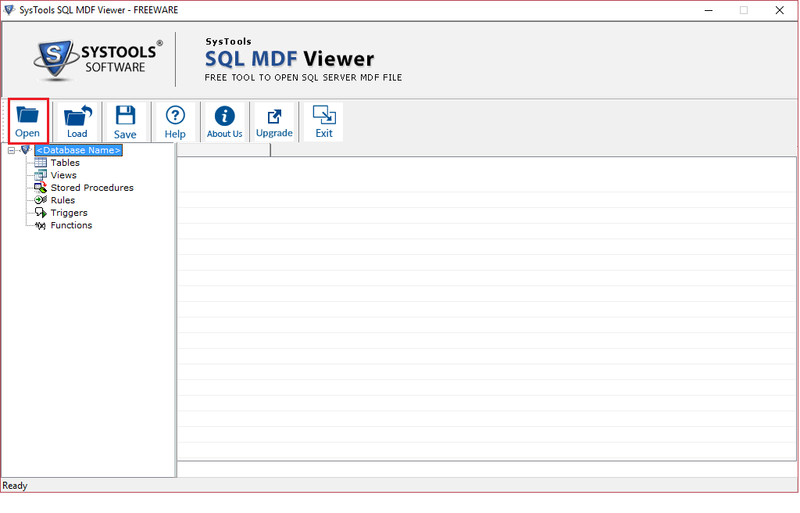 Yes, you can view the MDF file with the help of tool without need of SQL installation. 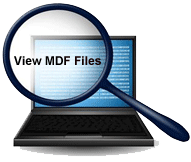 Can I view corrupted MDF file with the help of MDF file viewer tool? Yes, the tool provides quick scan mode and recover data from corrupt MDF file. Can I open and view the whole MDF file with their attributes? Yes, The tool shows complete MDF file with attributes like tables, keys, columns, indexes, etc.